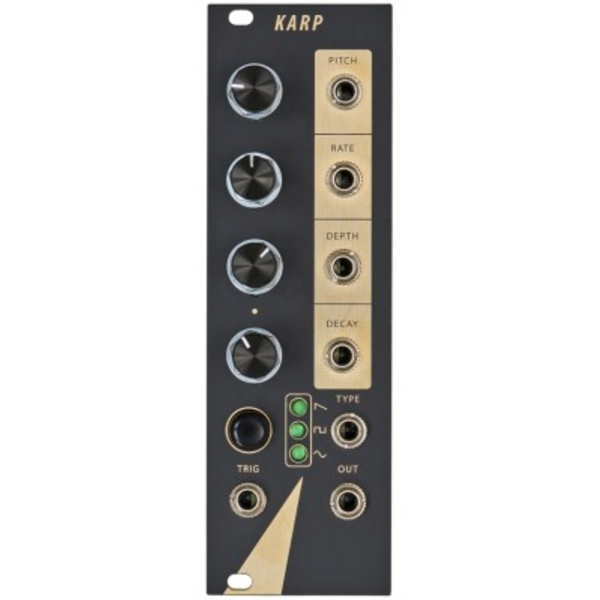 Karp is a physical modeling synthesizer voice that simulates the sound of string instruments. It is based on Karplus Strong algorithms. Karp explores and exploits errors in code, achieving non-linearity in control and circuit-bent-esque sounds. 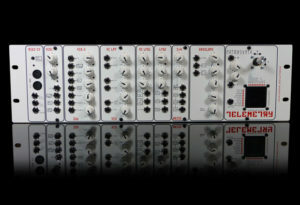 The module excels at producing glitches and micro-movements with millions of sweet spots. 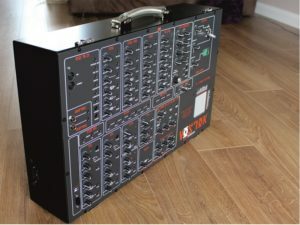 Circuit bent sounds are achieved by literally using wrong code. The type and trig inputs expect to be fed with triggers. 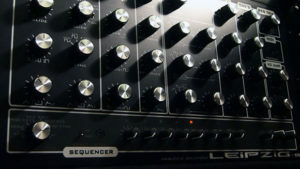 The module’s CV inputs accept 0-5v. 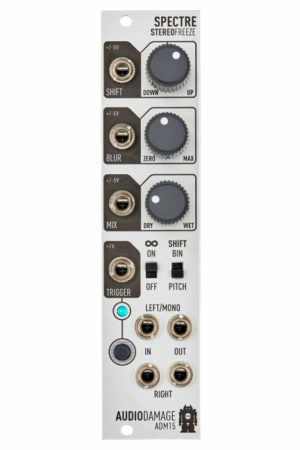 When a CV input jack is inserted, the knob on the left become an attenuator for the input signal. DECAY control is very sensitive. Most of the time, keep it fully counterclockwise or fully clockwise. Holding the button during powering up would quantize pitch to D Major Pentatonic scale.